Slick is considered to be one of the most important musicians in bringing the 1960s psychedelic rock to mainstream appeal. She is known for her witty, influential, thought provoking lyrics. Former lover and bandmate Paul Kantner once half-jokingly compared Slick to Oscar Wilde in her impact on music and modern culture. Slick's longevity in the music business helped her earn a rather unusual distinction: the oldest female vocalist on a Billboard Hot 100 chart topping single. "We Built This City" reached #1 on November 16, 1985, shortly after her 46th birthday. The previous record was age 44 for Tina Turner, with 1984's #1 smash, "What's Love Got To Do With It". Turner (who is, coincidentally, within a month of Slick's age) turned 45 two months after the song topped the charts. Slick broke her own record in April 1987 at age 47 when "Nothing's Gonna Stop Us Now" topped the U.S. charts. Her record stood for 12 years but was ultimately broken by Cher, who was 53 in 1999 when "Believe" hit #1. Slick did vocals for a piece known as Jazzy Spies, a series of animated shorts about the numbers 2 through 10 (a #1 short was never made), which aired on Sesame Street. The segment for the number two appeared in the first episode of the first season of Sesame Street, November 10, 1969. 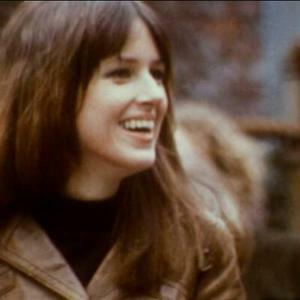 She was inducted into the Rock and Roll Hall of Fame in 1996 (as a member of Jefferson Airplane). She was ranked #20 on VH1's 100 Greatest Women of Rock N Roll. Aside from singing, she also sometimes played piano, keyboards, oboe, and recorder for the bands.